Amy Brown is an Undergraduate student at the University of Washington, Seattle. She is currently a freshman who enjoys helping and working with children. 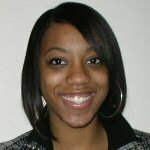 Although she hasn’t declared her major yet she is considering minoring in African American Studies. Amy Brown expects to graduate from the University of Washington in June 2012.